Free Admission Fun for the whole family! There's something for everyone at Rainier Mountain Festival. We Simplify outfitting. 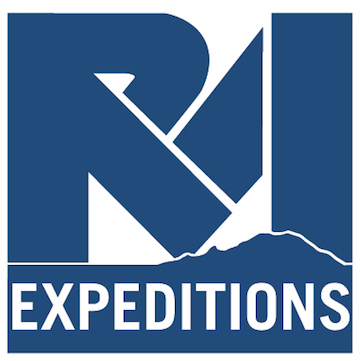 Whittaker Mountaineering is a specialty retailer of mountaineering equipment and the official outfitter for RMI Expeditions. Founded in 1998 to identify the best mountain products for hikers, visitors, and climbers. Whittaker Mountaineering utilizes the vast knowledge and experience of the RMI Guide team to select top gear for their rental, demo, and retail store. The world’s best mountain guides pick only the gear you need, nothing you don’t. Whittaker Mountaineering’s rental items include climbing, hiking, and winter recreation equipment, and demos of Bight Gear apparel. Life’s too damn short to spend a single minute of any adventure hot, cold, sweaty, or annoyed by poorly placed zippers. Whether you’re a mountain guide (like us) or a weekend warrior (we do that, too), comfort equals enjoyment. Our mission is to build functional, durable alpine workwear that’s so dependable you’ll never think twice about wearing it. Getting safely up and down mountains is just the beginning of the story at Rainier Mountaineering, Inc. (RMI). Founded by the legendary Lou Whittaker and staffed by the most experienced and talented guides in America, RMI has built a four-decade long legacy of safe, successful, and enjoyable mountaineering adventures. RMI has been setting the standard for mountain climbing excellence since 1969. Through Mountainfilm on Tour, we touch the lives of over 70,000 people every year and visit more than 150 locations. It's our way of extending the reach of the annual festival and helping our filmmakers’ inspiring content be seen by audiences who otherwise might never have the opportunity.